Higher sales volumes and low cost increases helped the steel producer return to profitability last year. 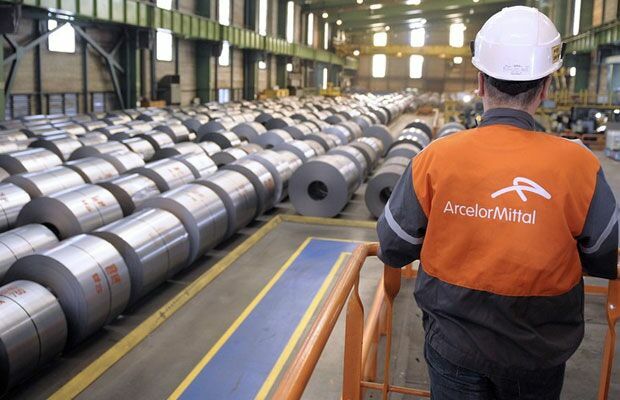 Buoyant exports have buffered ArcelorMittal South Africa (AMSA), making up for local demand that continues to languish at a nine-year low. The steel producer grew sales volumes by 5% last year after producing 5.1-million tonnes of liquid steel, a 4% improvement from 2017. While local consumption remained subdued, international markets were buoyant with exports rising 21%. It managed to keep cost increases down, resulting in a return to profitability. Results were negatively affected by weaker demand in the domestic steel markets in which the group principally operates, constrained by low levels of investment and infrastructure spending and volatility in the rand/US dollar exchange rate," the company said. "Local apparent steel consumption decreased by 4% as a result of subdued economic growth and poor investor confidence. " Globally, it said steel prices were impacted by increased tariffs on imports early last year, which drove the price of steel imports higher. In Europe, positive growth in the eurozone and a stronger euro against the dollar for most of 2018 resulted in good steel demand. In Africa outside of SA, steel markets remained positive due to spending on infrastructure including rail, road and energy projects. Revenue increased by 16% to R45.3 billion in the year to end-December and cash costs per tonne of liquid steel produced increased by 2%. Earnings before interest, tax, depreciation, and amortisation swung from a loss of R315 million to a profit of R3.62 billion. Headline earnings turned around from a R2.52 billion loss to a profit of R968 million. It hasn't declared a dividend. During the year, it made a R415 million profit from the sale of its investment in Macsteel lnternational for R3.22 billion. It said exiting the joint venture was one of its initiatives to return to sustainable profitability and generate positive cash flows. The sale helped it reduce net borrowings decreased by R2.79 billion to R475 million. AMSA said South Africa and other key African markets continued to face the threat of steel imports, mainly from China. While imports declined by 20% over the year, 769,000 tonnes of primary carbon steel were still imported into the country, despite import duties, selective safeguarding and the designation of local steel. It said domestic steel demand and exports are likely to remain stable during the current six-month period, with volatility in the rand/dollar exchange rate continuing to have an impact on the group's results. Its share gained 7.9% to R3.70 yesterday.